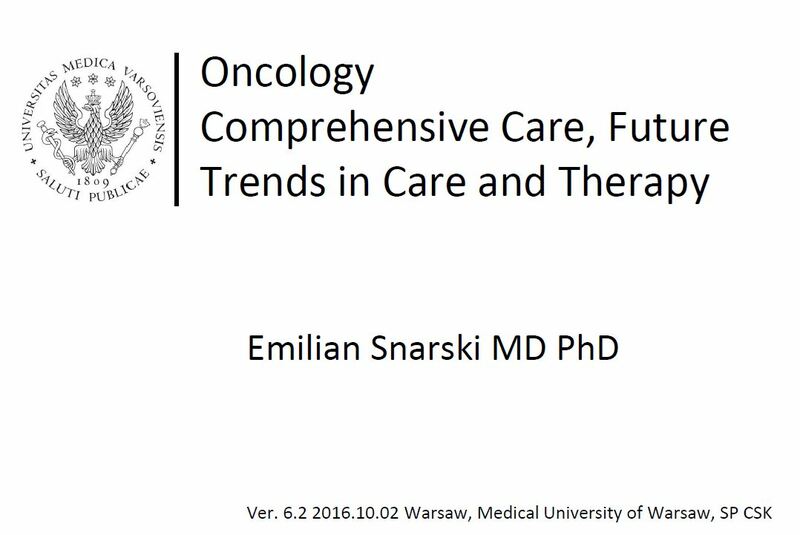 Oncology – future trends in care | Emilian Snarski M.D. Ph.D. The new, refreshed oncology seminar for English Division Students can be downloaded here.